"The Jubilee Nominations or Primaries managed by Tuju have failed us" Says former CS Anne Waiguru. - Bana Kenya News, Real African Network Tubanane. Home News "The Jubilee Nominations or Primaries managed by Tuju have failed us" Says former CS Anne Waiguru. 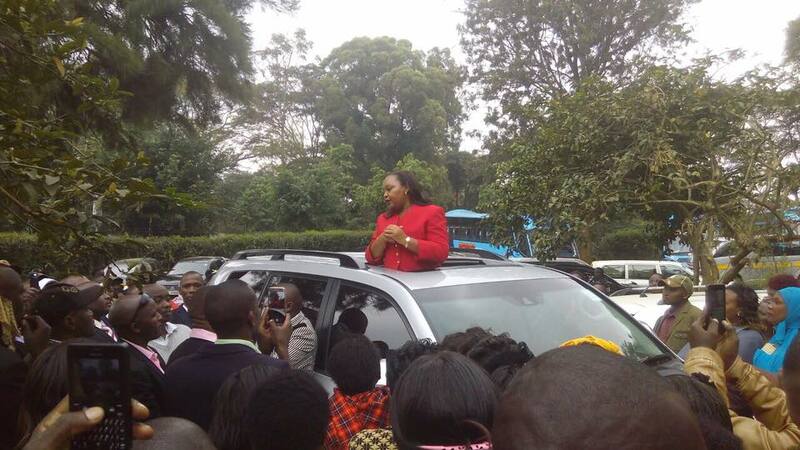 "The Jubilee Nominations or Primaries managed by Tuju have failed us" Says former CS Anne Waiguru. The Jubilee officials cancel and postponed some nominations in various counties until a later date. Some of the counties that the process was postponed include; Narok Kajiado, Bomet, Nandi, Embu, Nakuru, and Baringo. The main reasons why they have postponed the process is about logistics and people with their aspirants intimidating and sabotaging the process. The officials also argued that some areas were inaccessible because of the terrain. Some cars carrying the elections materials were blocked by rogue youths and other materials confiscated. Some of the counties where the process is still taking place include; Nyandarua, Nyeri, Muranga and Kirinyaga. The Nominations were not conducted in Rift Valley following loopholes and drama between the aspirants. The Secretary-General claimed that the nominations will continue in those descriptive areas even if there are less than half of the Registers papers. The Kirinyaga Aspirant Anne Waiguru claimed that there will be no elections if the voting papers will not be added. The elections show that the Matrix being used to gauge the influence of a party is Power Matrix. This is where party leaders design and decide who to hold the party ticket.